The whole name is HOSPI-Rimo and by “communications assistant” is meant delivering messages to other people. Wait, don’t phones do that? Correct, but if the HOSPI-Rimo’s owner is incapacitated or bedridden (think old folks) then its HOSPI-Rimo to the rescue. The HOSPI-Rimo belongs to a new generation of assistance robots whose sole task is to perform minor chores. 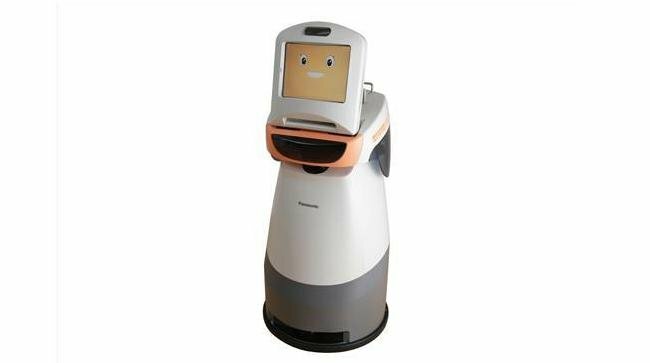 Together with variants that wash dishes and do some sweeping, the HOSPI-Rimo is Panasonic’s latest in the growing field of robotic care. Actually it’s a wise move on Panasonic’s part. With Japan’s demographic on its way to getting old, it’s only fitting for major companies to invest in product that can cater to the ageing population. The senior citizen market could soon be the most important new field of robotics after manufacturing and menial office jobs. Other than the fact that it exists and might be deployed in hospitals soon, there’s no word on pricing or a release date. Oh, and the name HOSPI? It’s indicative of where it’s going to be used the most: Hospitals.